From the author's monthly Scientific American columns. 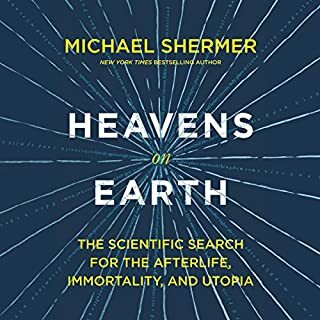 An eclectic, inspiring collection exploring a broad range of scientific thought from best-selling author and celebrated skeptic Michael Shermer. UFO abductions, television psychics, paranormal phenomena, skeptics and believers alike, find themselves debating truths and lies in the strange web of pseudoscience and the occult. Now, director of the Skeptics Society Michael Shermer explores the very human reasons why we find other worldly phenomena, conspiracy theories, and cults so appealing. Recent polls report that 96-percent of Americans believe in God, and 73-percent believe that angels regularly visit Earth. Why is this? Why, despite the rise of science, technology, and secular education, are people turning to religion in greater numbers than ever before? Why do people believe in God at all? 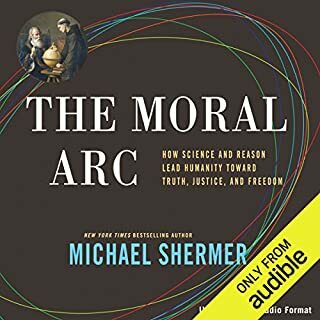 In The Science of Good and Evil, psychologist and science historian Michael Shermer explores how humans evolved from social primates into moral primates, how and why morality motivates the human animal, and how the foundation of moral principles can be built upon empirical evidence. Along the way he explains the implications of scientific findings for fate and free will, the existence of pure good and pure evil, and the development of early moral sentiments among the first humans. 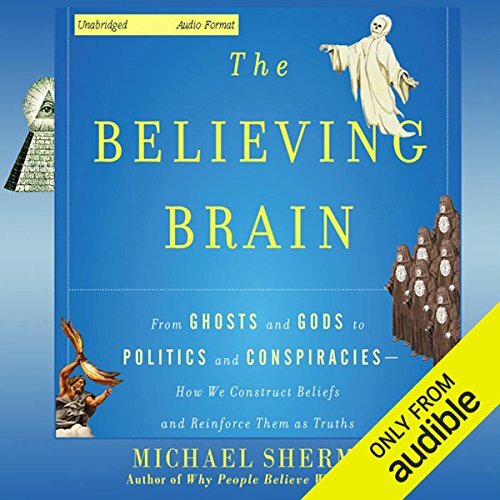 In this, his magnum opus, the world’s best known skeptic and critical thinker, Dr. Michael Shermer—founding publisher of Skeptic magazine and perennial monthly columnist (“Skeptic”) for Scientific American—presents his comprehensive theory on how beliefs are born, formed, nourished, reinforced, challenged, changed, and extinguished. This book synthesizes Dr. Shermer’s 30 years of research to answer the question of how and why we believe what we do in all aspects of our lives, from our suspicions and superstitions to our politics, economics, and social beliefs. Dr. Shermer also explains the neuroscience behind our beliefs. The brain is a belief engine. From sensory data flowing in through the senses, the brain naturally begins to look for and find patterns, and then infuses those patterns with meaning. These meaningful patterns become beliefs. Once beliefs are formed, the brain begins to look for and find confirmatory evidence in support of those beliefs, which adds an emotional boost of further confidence in the beliefs and thereby accelerates the process of reinforcing them—and round and round the process goes in a positive feedback loop of belief confirmation. Dr. Shermer outlines the numerous cognitive tools our brains engage to reinforce our beliefs as truths and to insure that we are always right. The production is kind of shoddy too --you can hear pages being turned; he mispronounces a few words and slightly stumbles over others; and then there's the obnoxious use of music that is used to introduce and end chapters. Aside from those flaws, it's a very informative book. Like I said: Shermer is a VERY smart man and he does a very thorough job of presenting his research and material. I would recommend it. If you've not read anything by Dawkins or not a listner to NPR's Radio Lab, and haven't read books like "The Drunkard's Walk", or "Blink", or "The Disappearing Spoon", then this book might be alright for you. It's really nothing original, just citing many other stories from other very good authors. I would recommend this book to someone who has just started embarking on a journey of skeptical view points. But I would also HIGHLY recommend that they read each of the stories in the books mentioned by the author as the condensed versions do leave out quite a bit. For me it was mostly a rehash of things I've already read. As there was no new material I really can't give this book more than two stars. We were super stoked about this book, but the author's voice is not easy to listen to. Better to buy the book and read it 'old school'. Why authors feel they have the best voice to read their work is a mystery. We switched to the Audible version of "Doc" and the narrator's voice is so awesome and perfect it raises the level of a well written story to amazing heights. Narration is terrible and interferes with info. This book is suppose to be about the "believing brain", but less than half the book has anything to do with such topic. Perhaps that is because publishers force authors to use catchy titles, so the book will sell. For example, the author delves into the Big Bang theory of the universe and multiverses; and he rambles on and on about other irrelevant topics, as if to ensure his text is long enough to be a book. Otherwise, had the author only discussed "believing brain", the audio book could have been one hour instead of several hours. Audio books also sound better when read professionally, instead of being read by their author. This is another one of those that is read by the author. One annoyances is its inappropriate use of music at the beginning and end of each chapter. It makes spoken words difficult to understand for a few minutes, until the music stops. I have to admit at the beginning that I have a significantly pro-skeptic bias. I love skeptics, so it is hard for me not to like the book. An interesting book that belongs on my shelf between my books on psychology and science (The Drunkard's Walk: How Randomness Rules Our Lives, Freakonomics: A Rogue Economist Explores the Hidden Side of Everything, Predictably Irrational: The Hidden Forces That Shape Our Decisions) and my books on agnosticism, skepticism, neo-atheism and the evolution of religion (The Evolution of God, The Blank Slate: The Modern Denial of Human Nature, God is Not Great: How Religion Poisons Everything, The God Delusion). Anyway, 'Believing Brain' was worth my time and was a nice homage to science, and the scientific method. Good job... until Part Two. The book provides a fascinating discussion of science and the way that evolution informs belief. It almost becomes vital reading... until Part 2. An audible review does not allow for a full rebuttal of the 2nd half of the book. 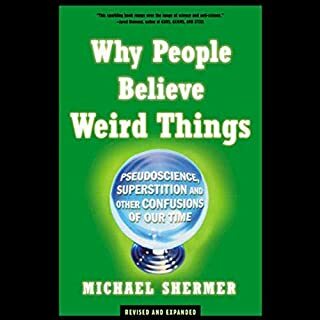 But Shermer almost wholeheartedly undermines his project by spending one chapter mistaking political science, a soft science, for geology or physics, or hard sciences, and then extending those arguments throughout the rest of the book. The fallacious basis of the chapter is his argument that "liberal" and "conservative" are labels that evolved organically and can be identified as existing throughout the world, based upon evolutionary concepts about the way we understand society, thereby giving the labels the same weight as a scientific formula. From that, he argues that liberal bias has been proven in news media (but pays no attention to prominent arguments refuting this - Noam Chomsky's work on this issue comes to mind). And towards the end of the chapter, he presents the case for libertarianism. But he never reconciles the problems with his own categories. For example, he identifies "liberalism" with socialism, but he does not deal with the connection of libertarianism to conspiracy theory about banking, with which it is so closely aligned (and which he attacks earlier in the text). He also creates a straw man understanding of what a "socialist" is so he can argue against welfare. But he does not acknowledge how government help for its citizens is welfare to some and free market incentive to others, depending upon their social class (another concept that he does not identify at all in his discussion of evolution and politics, reflecting an American bias). He makes no mention of how the understandings we have of political narratives are conditioned by partisan think tanks and political parties, nor by his own American-ness. He argues that the evolution of a two party system in the US reflects the way that humans understand political organizations, but he does not deal with how other Western countries allow for more diversity or how many differences (and degrees of "liberal" and "conservative") exist within those countries, thereby negating the rigidity of his own labels. He does acknowledge that "of course exceptions exist" to the categories that roughly define those two labels, but he deals neither with how those exceptions might betray his argument nor with the pervasiveness of those exceptions within society. I'll stop here (there's much more to critique!). But to sum up, he entwines unfortunate talk-radio style rhetoric with otherwise solid scientific exploration. His arguments become deontological, rather than evidence-based (which he ironically argues is necessary later in the book). What evidence he does present in this chapter seems cherry picked. Furthermore, he offers no masterful understanding of the opposing political views in his book, such as the anti-colonial critics of Western liberalism in economics that might challenge his libertarian views, before dismissing them. (see "The Shock Doctrine: The Rise of Disaster Capitalism" by Naomi Klein for one strong rebuttal that might address his epilogue about Hispanola). Doing so might give this chapter the same kind of weight that the rest of his arguments against aliens and religious narratives carry. Instead, the method used to argue in this chapter, as well as its substantive content, both weaken his greater arguments and employ the fallacies and methods that he critiques elsewhere. This performative contradiction was so alarming that I almost did not finish my listening. Finally, you can hear him shuffling his papers and turning pages into the microphone throughout the his performance of the audiobook. This was very distracting. 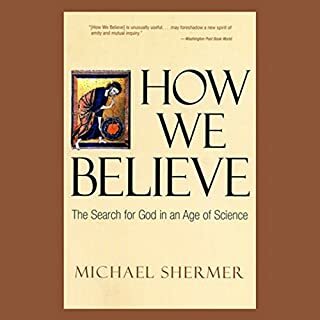 For those unfamiliar with Dr. Shermer, his work regarding the science behind skepticism…this book would be a perfect emersion into the world of “belief”. For his fans, as mentioned in the prologue, a culmination of some 30 years of study in this area…to be honest, I am getting a hard copy to reference…not to discourage, the audio book is great! This book hits close to home. Once, a blithering member of a militant “Jim Jones” like Christian cult (control, fear, money hording pastor…but no Kool-Aid)…highly recommended as sound therapy. “What was that all about?”…you will learn here. But…the reader doesn’t have to be stained by religious fundamentalism, conspiracies, or other highly emotional dogma…to benefit from Dr. Shermers work. The human belief system is complex, and drives our lives, sometimes against all reason. 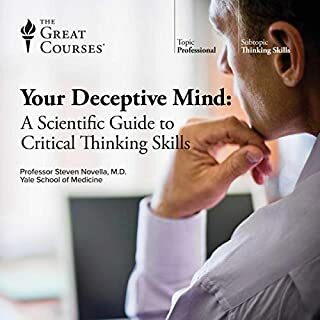 The Believing Brain sheds light on a difficult subject…very accessible to the layperson…interesting, detailed, and enjoyable! !.....By the way, his narration was great! Works of nonfiction…history, and science…I have always enjoyed the author reading his or her own material. Would love to see other Dr. Shermer books recorded unabridged. This book compares favorably alongside David Eagleman's "Incognito" and Michael Gazzaniga's "Who's in Charge". In some ways, this book is not quite as great as those two, mostly because it's a little too long, and gets dull toward the middle (but hang on, because it picks back up later). I give this book 4 stars instead of 5 only because I thought the book was too long. There are a few parts that are a little repetitive. I would have to say, read the other books I mentioned first, especially "Incognito", which has been my favorite book on this topic. Brilliantly evidenced reasons to doubt yourself! Brilliantly researched, and argued, the message of the book is "the easiest person to fool is yourself"! None of us are immune from the various confirmation biases that mean we adopt many of our beliefs first, and then gather supporting evidence to prove ourselves right. This is just part of our evolutionary baggage of biases and of patternicity and agenticity it seems. 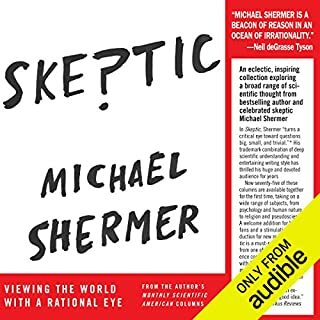 This is no neo-atheist rant, Michael Shermer gives a very fair account by two believers who found God through unusual experiences. I enjoyed his own account of losing his own faith, when for the first time, he sees himself as others saw him in his tiresome obsession about God as a fundamentalist Christian. Most of all I found the neuroscience and numerous research experiments fascinating. We are all wired to take on trust it seems, and also to seek out patterns. It is individual differences in the activity of areas like the ACC, that enables us to discern useful from imaginary patterns, with many non-skeptics showing higher levels of patternicity. Finally, in part 2, there are some excellent chapters on specific beliefs such as God, conspiracy theories, alien abduction etc. one of the most interesting is on our political biases (which seem to be 40-50% genetic), the strong confirmation biases and the 5 moral dimensions that lead to predictable clustering as liberal or conservative. There is just loads in this book, and I liked that Prof. Shermer reads it himself in a strong clear delivery. I had to listen through twice, so much research is quoted as supporting evidence. In the end, it is whether you believe the naturalistic explanation is not just necessary, but also a sufficient cause. Above all however, I was left with a wariness in believing my own opinions, and a new awareness of the miriad ways we can deceive ourselves, let alone others! Michael Shermer manages to turn what should be a fascinating topic into a dull dirge. He has a propensity to ramble off topic for hours. This is one book that really should have been abridged - one to two hours should have been ample to cover the information relevant to the title. To compound the problem, his reading voice is so annoying. And what is the point of the cheesy music that starts each chapter and heralds its ending? I enjoyed reading Shemer's "Why Darwin Matters" and hoped "The Believing Brain" would be a interesting foray into a broader area. But interesting it was not. Along with some autobiographical anecdotes there is a good deal of research and a clear well structured argument in this work. Michael Shermer does not hide from his own bias and is unafraid to describe his own political and moral views throughout. I can't say I share all his views but I enjoyed his exposition of them. I would have liked a little more work on the evolutionary biology of belief and a little less personal anecdote but that may be just my preference. Overall he is cogent and respectful of others views which places him ahead of Dawkins in my opinion.